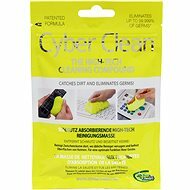 This large pack of Cyber Clean provides excellent cleaning for your electronics, especially mobile phone keypads, laptop keyboards, joysticks, remote controls, and so on. Although it may surprise you, these objects can be the dirtiest things we come into contact with. The Cyber Clean material is highly malleable and cohesive, so it can safely get into the joints and various difficult to reach spots, where dirt, dust, etc., tend to accumulate the most. It also acts as a disinfectant. 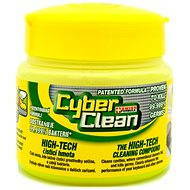 The reliable formula of the Cyber Clean material does not leave stains and doesn’t harm electronics in any way. Keyboards, mobile phones, laptops, remote controls, digital cameras, joysticks, printers, etc. For shipping to other EU countries visit this page Cyber Clean Medium Pot 500g. Für Versand nach Deutschland, besuchen Sie bitte Cyber Clean Medium Pot 500g. Chcete doručit zboží do Česka? Prohlédněte si Cyber Clean Medium Pot 500g. Chcete doručiť tovar na Slovensko? Prezrite si Cyber Clean Medium Pot 500g. Für Versand nach Österreich, besuchen Sie bitte Cyber Clean Medium Pot 500g. Magyarországra történő kiszállításért tekintse meg ezt a termékoldalt: Cyber Clean Medium Pot 500g.